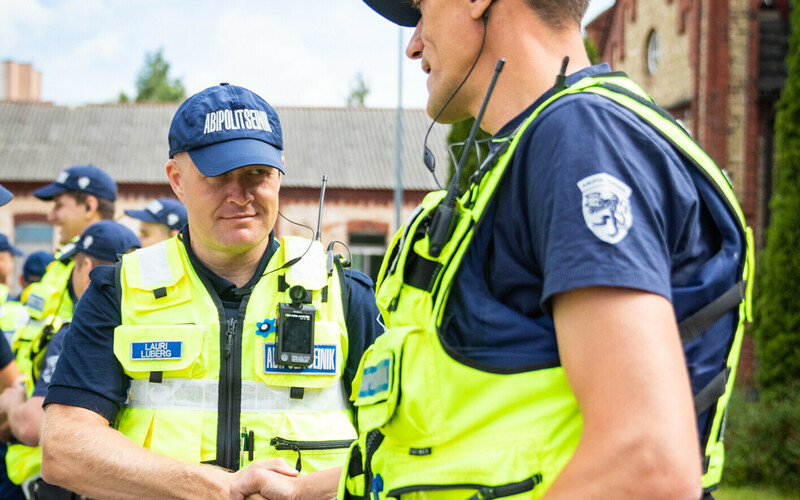 Assistant police officers contributed almost 100,000 hours of their time towards ensuring security across Estonia in 2018, and their amount of prevention work increased significantly compared with 2017. Assistant police personnel contributed 95,442 hours in 2018, spokespeople for the Police and Border Guard Board (PPA) said on Friday. Estonia's assistant police officers are volunteers that have become a resource of considerable importance in the PPA's prevention efforts. The role has become more popular in recent years as well. Assistant police officers also go on patrol, are part of code enforcement units, join search efforts for missing persons, work with the PPA's migration authority and help the police in a variety of other capacities as well. Hours spent by assistant police personnel on patrol reached 67,025 last year, while assistant officers spent 10,964 hours on administrative tasks, 8,726 working on local police units, 5,231 on prevention work, 1,829 hours on working with the PPA's border guard units and 1,667 hours working alongside the regular police in criminal investigations. Rainer Rahasepp, police captain at the PPA, said that being a volunteer is a lifestyle, and that thanks to assistant police personnel Estonia is a better place to live. "We are very proud of our volunteers—a thousand hardworking women and men support the police on patrol and in ensuring safety on the roads, at prevention events and guarding the border. Each hour and each minute of personal time that an assistant police officer dedicates to others is a good deed that makes Estonia safer for all of us," Rahasepp said according to spokespeople. Rahasepp added that even though the bulk of the work done by assistant police personnel consists of participating in patrols, more and more often they also participate as instructors, in regional police work, in archives, in work at service centres, in logistics and many other areas. In 2018, 59 members of the assistant force became police officers, compared with 44 in 2017 and 22 in 2016. "Thus, the status of assistant police officer is increasingly often a springboard to the profession of police officer," Rahasepp said.